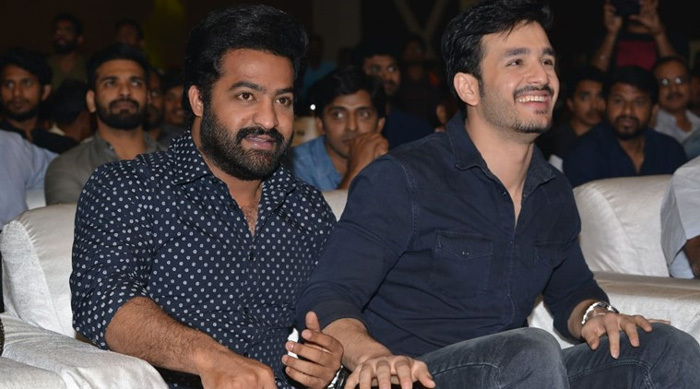 Why NTR Supporting Akhil Mr Majnu? How is Young Tiger Ntr's relationship with Nandamuri family? Is he maintaining good affiliation? Is he in talking terms with everyone in the Nandamuri family? Did the rift between him and Balakrishna resolved completely? These are the questions on the minds of all Ntr and Nandamuri fans. Ntr's behavior is however sending signals that all is not well between him and Balakrishna, but it is only a patch-up of sorts. Ntr is not supporting or attending any family functions but is surprising all by showering praises on Mahesh Babu's films, attending Akhil's Mr Majnu event and showering praises on ANR clan.